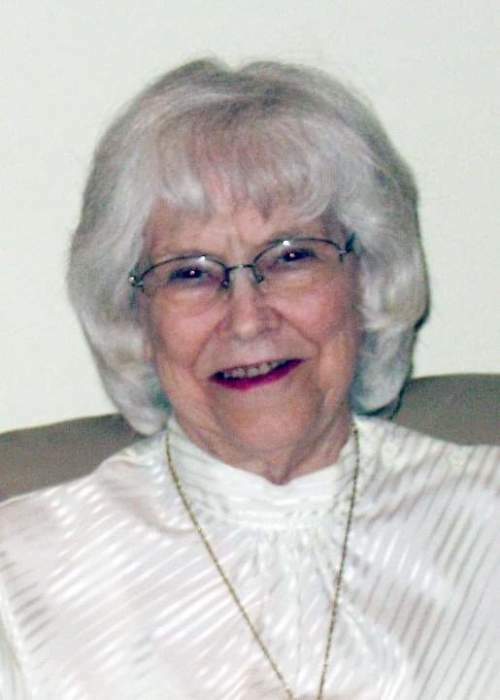 Larna “Jean” Walling died Wednesday, January 23, 2019, just 2 weeks after her 2nd stroke. She was born March 28, 1934, the 4thchild of Wesley and Elizabeth Tallant, in Knox City, Texas. She graduated as Salutatorian of her high school class. She enjoyed sewing, gardening, and canning, though she was most happy being a housewife and raising her family. She married Randell E. Walling (Randy) on Aug 6, 1958. Together they raised 7 children in a blended family and did a mighty fine job. Randy and Jean moved the family to Casper in 1962, then to Powell in 1965. In 1974, they took the 2 youngest daughters on a world-wide adventure with Marathon Oil overseas. They started in Pakistan and lived all over, from Ireland to Tunisia, Nigeria to Syria, and short stints in Indonesia and other countries. They returned to the US in the 80’s where they bought and retired to their little “Ranch” in Proctor, Texas. In 2005, they sold the ranch and moved to Wichita Falls, Texas, to be closer to their siblings. They lived at Rolling Meadows, a retirement community, and enjoyed friendships with many new friends there. She was preceded in death by her parents, all three of her siblings, two brothers-in law; son Tony Walling, grandson Mike Miller, and son-in law Alan Asay.